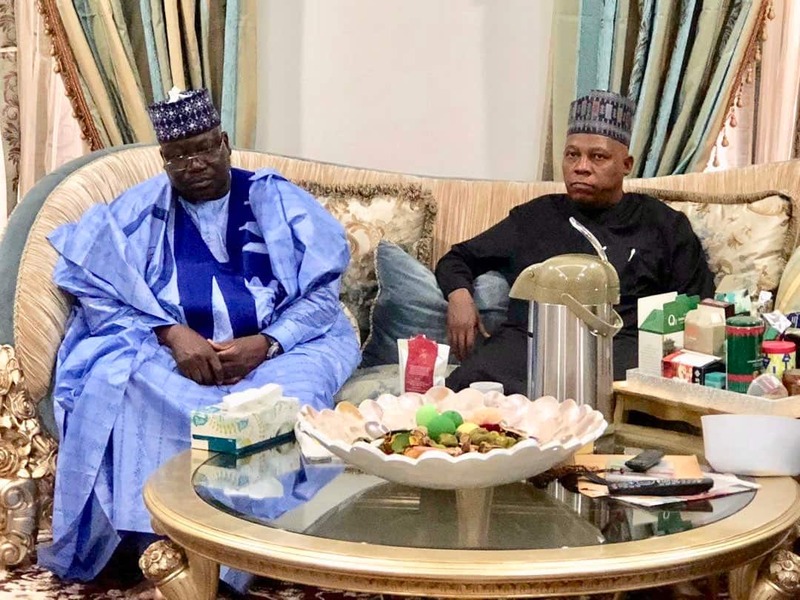 Governor Kashim Shettima has said that the people of Borno will prevail on Senator Mohammed Ali Ndume to step down for Senate Majority Leader, Ahmad Lawan. Ndume representing Borno south senatorial district is one of two All Progressives Congress (APC) senators insisting on contesting for Senate presidency despite the party's endorsement of Lawan. Speaking to journalists when the Lawan campaign team visited him at his Abuja residence on Monday, April 15, the governor said the Senate Leader was the most qualified APC senator for the seat. His words: “We are not at war with Senator Ali Ndume; he is my kinsman but we will continue impressing on him to align himself with the aspiration of the party. We are not at war. “Ordinarily, I am not even supposed to come here because there are three things to be combated. I hail from the same state with the distinguished Senator Ali Ndume, and I appreciate the fact that politics is local. But politics is also national. “I believe the blood that binds us together supersedes whatever we might harbour. But I fully align with the aspiration of my party, to the aspiration of President Muhammadu Buhari and by the grace of God, we are going to mobilize all our goodwill to see that we are fully on board. Meanwhile, Peoples Democratic Party (PDP) senators-elect have kicked against the candidacy of Senator Lawan for the incoming 9th National Assembly Senate president seat.